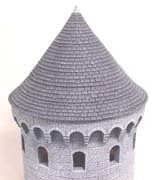 This mold will make conical slate shingle roofs to fit 3", 4", 6" and 8" diameter towers. 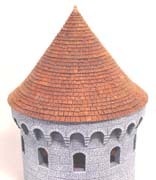 Also includes stone braces and top decoration. 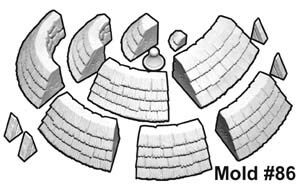 The inside of the blocks have a chipped stone texture. 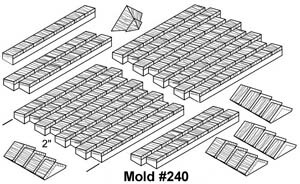 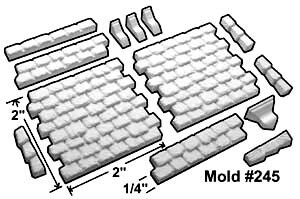 Click here to see examples of how to use this mold. 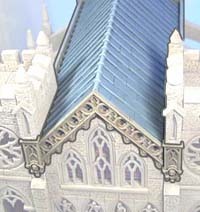 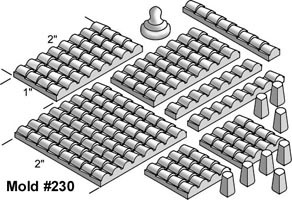 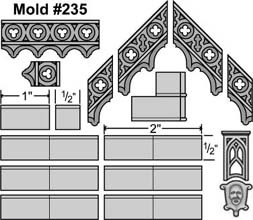 Used to make ornamental roofs for churches and cathedrals. 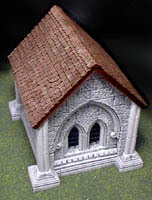 Includes tile pieces, roof peak, railings for side and front, and rail connectors with face design drainage spout. 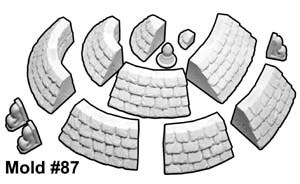 Used to make wood shingle roofs quickly and easily.